A Black Lives Matter flag will fly in front of Burlington High School within the week, and it will stay up until the end of the school year. Members of the BHS Social Justice Union wept with joy and cried "We did it!" after the school board voted unanimously Tuesday night to approve their request to raise the flag. A ceremony and flag raising is tentatively planned for Monday. "I'm overwhelmed, honestly. I'm just so happy that they did the right thing and we're finally heading in the right direction," said Eliza Abedi, a 17-year-old senior and cofounder of the Social Justice Union. "This is so beautiful," said Binti Malawia, a 16-year-old sophomore. "We're finally being heard." The two were among about a half dozen students who appeared before the board. The students read a resolution saying that people of color make up 35 percent of the school district and want to be recognized. 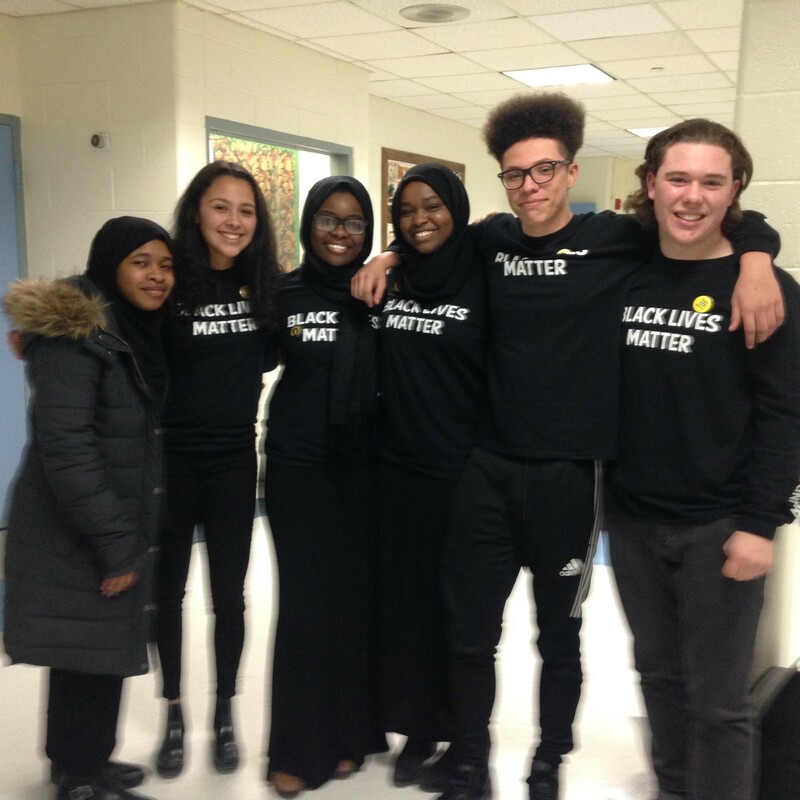 "Flying the BLM flag not only recognizes students of color, but it also creates a welcoming ethos and helps to bridge Burlington communities together," the student resolution stated. The flag does not mean black lives are more important than others, they said, and instead should be viewed as promoting equality and taking a step toward redressing many years of oppression and institutional racism. Some critics of the Black Lives Matter movement feel it unfairly stereotypes police and creates racial division with talk of white privilege. Although students mentioned the possibility of a backlash for flying the flag, there was none during the meeting at Lyman C. Hunt Middle School. The board members briefly debated the details but were supportive. There was no public comment before the vote. The school board did get a legal opinion, though, from school district general counsel Joe McNeil on the free speech implications of saying yes to the Black Lives Matter flag. A yes to the resolution would not turn the flagpole into a "public forum" that would force the board to approve all flag requests, even ones for highly controversial symbols such as swastikas, McNeil said. 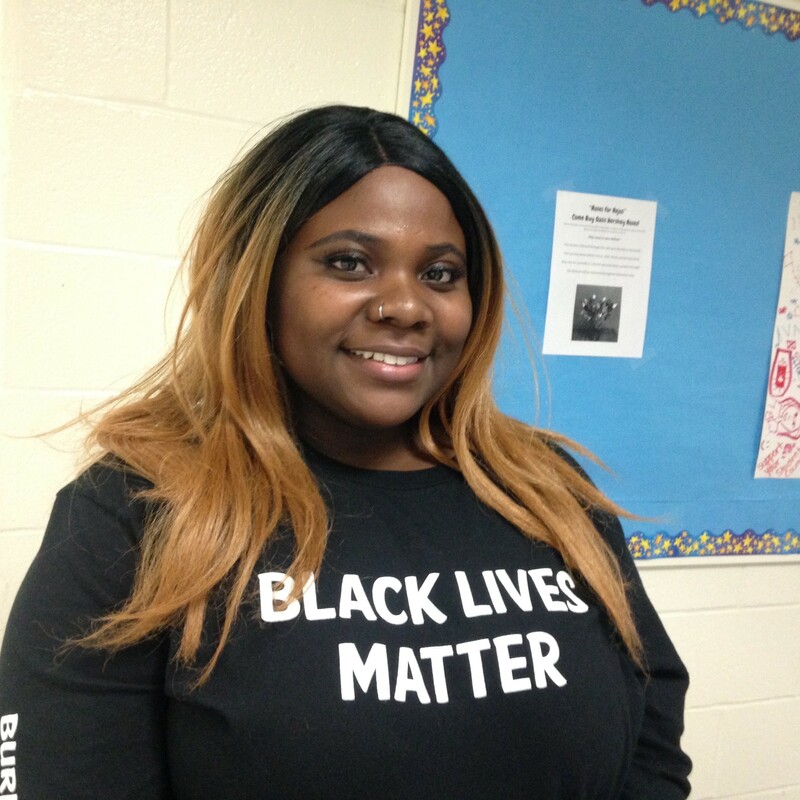 The Burlington students were inspired by a similar effort at Montpelier High School, which raised a Black Lives Matter flag on February 1 at the start of black history month. The Burlington students were interested in flying the flag every February, but the motion that passed covers just 2018. Acting board chair Stephanie Seguino suggested it might be better for students to return next year to make a fresh request. Mark Porter, the former board chair, supported the resolution and suggested the district offer equal treatment to similar requests from other populations of students in the district, be they Asian American or members of the LGBT community.